Play guitar chords right away, no prior experience needed! 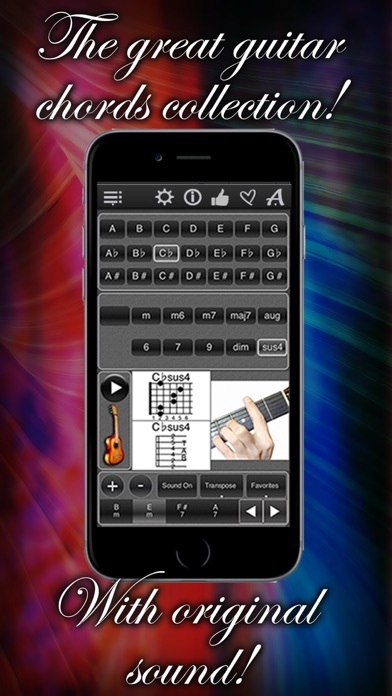 Take advantage of our clear, easy-to-use interface and learn the basic and advanced chord charts. transpose the chords up or down to accomodate your singing voice.